Taking a night off from cooking dinner yourself to instead enjoy going to a restaurant is always nice. After all, eating out allows you to partake in a delicious meal without having to worry about burning the food, seasoning it perfectly, or washing dishes afterward. However, aside from all these basic perks, there are many reasons why you should let the seafood experts prepare your favorite dishes for you. Here are 4 benefits of enjoying seafood from a restaurant, rather than your home. While we can’t speak for all seafood restaurants, we can speak for ourselves in saying that our restaurant only offers the freshest seafood available. 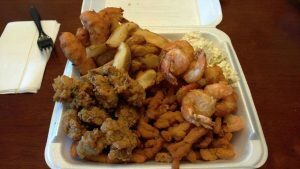 This is because we purchase large portions of seafood each day that is delivered straight from the North Carolina coast to our restaurant. So, not only do we provide our customers with the freshest seafood available, but also options that are locally sourced. Generally, seafood options found in everyday grocery stores are not nearly as fresh as what we offer, nor locally sourced. Rarely has the seafood purchased in stores been caught just a day, or maybe a few days, before, as ours is. Ultimately, we guarantee the freshest seafood available via our daily shipments, which is something that is uncommon in typical grocery stores. At NC Seafood, we operate under highly detailed, standardized, and consistent processes, which routinely grant our customers high-quality, fresh, properly prepared seafood every time. From our cooking conditions to storage procedures and beyond, our strict regulations and standards ensure that we serve top-quality seafood, meaning each time an individual orders seafood from our restaurant, they will receive an exceptional, well-prepared meal. Consuming seafood that is unproperly cooked or prepared can result in several health issues; eating at a seafood restaurant with detailed standards and procedures ensures that your meal is delicious, fresh, high-quality, and ready to eat every time. Unless you regularly purchase large amounts of fresh seafood from local fishmongers, typically you can receive cheaper pricing for higher quality seafood in eating at a restaurant than you would at your ordinary grocery store. In other words, because we buy our goods consistently and in bulk, we receive better pricing on our fresh, local seafood, meaning we are able to offer our high-quality seafood at a cheaper price than general grocery stores. We purchase from local fishmongers consistently and in larger quantities, which results in a larger discount for us, and cheaper pricing for you, on the freshest seafood available. Everyone knows the fishy, and sometimes unpleasant, scent that can result from deep frying fish, or other forms of seafood, within your home. That scent loves to linger around, too, as well as cling to your clothes. That is why another benefit of eating at a seafood restaurant rather than preparing it within your home is that you get to avoid all the fishy smells that come with preparing your meal. The need for air fresheners and open windows is eliminated when you leave it to the professionals! Come Enjoy All These Benefits, and More, at NC Seafood! If you can’t tell already, enjoying seafood at a restaurant rather than at home offers several unbeatable benefits. 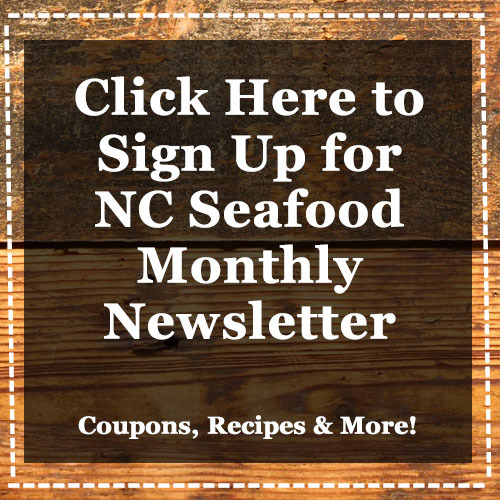 And, NC Seafood isn’t just any ordinary seafood restaurant, but one that’s is definitely considered to be a local favorite. Don’t believe us? Just look at our reviews. So, come treat yourself to a night of no dishes to wash, no fishy scents, and a fresh, high-quality, and affordable plate of seafood at our delicious restaurant, all while supporting a local business. Place your order today at 919-833-4661 or check out our menu now. We certainly look forward to seeing you!